Curating and putting together a book of stories of sexual assault, abuse, & harassment. Jyssica Schwartz, Entrepreneur, writer, sales pro, cat lover, weirdo, optimist. It’s been five months almost to the day since Twitter, Facebook and then all the other platforms became alight with #metoo posts. Alyssa Milano started a fiery trail with a simple tweet asking every person who has been sexually harassed or assaulted to post “me too” to show the world how pervasive and prevalent harassment and assault truly is. Approximately one week later, I had the idea to put together a book. A collection of stories from the people who have felt unheard. Those who sometimes feel alone and voiceless as victims and now survivors of sexual assault, abuse, and harassment. I wasn’t sure exactly what the book would be or how to get started, so I tried to put the idea down. I couldn’t quite put the idea away. I put out a call on social media for stories, created a Facebook group and a mailing list, and waited for stories to come in. I got a few. I asked friends and family to share the book idea and a few more stories came in. I went out and asked individuals for their stories, and they came in first as a trickle, then as a flood. The original goal was 30. Then it became 40 and then 50. Once we got 50 stories from women and men around the world, I decided we were done, that was IT. A few more came in and the book ended up having 56 stories from 56 different people. The assaults, abuse, and harassment they write about shows this problem is global. Across all ages, nationalities, and genders. It is a horrible, tragic secret that more than one in four people will experience. The world has spent long enough trying to sweep away abuse. We have spent far too long blaming victims and asking “What were you wearing? Were you drinking?” when a woman says she was raped. 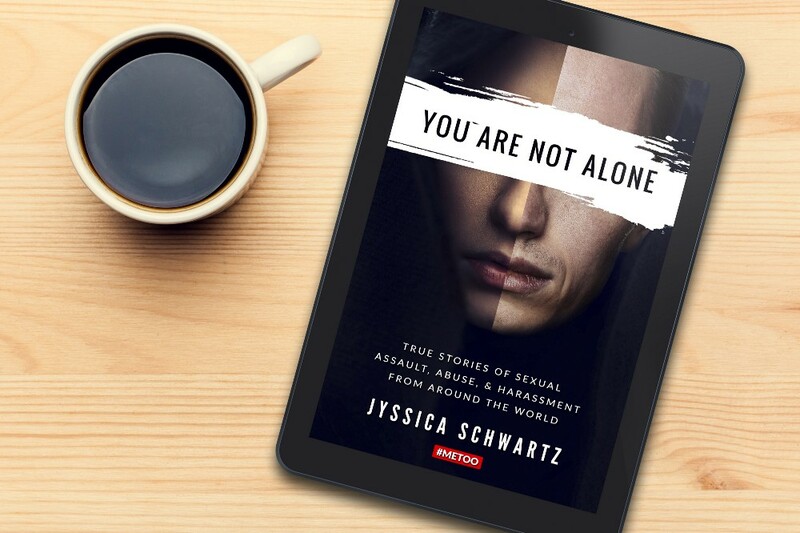 “You Are Not Alone” represents only 56 of hundreds of thousands of people every year who are attacked, abused, harassed or all of the above. Many of the contributors found the process of writing and publishing their story cathartic. I, too, have long found healing in committing my words to paper. To defining and writing a piece of my soul and putting it out in the world where I have no control over it or the reaction to it. The victims and survivors who allowed their stories to make this book a reality are incredible. They are brave, full of courage, often scared, and they have found their words to step up, speak out, and scream their truth out into the world. I can only hope you get as much from it as I have. I am a writer. I am a full-time freelance writer, editor, and book coach, and recently published my first book "Write. Get Paid. Repeat." to teach people how to find clients, price themselves, and challenges in freelancing.